SANSON -Partie du Biledulgerid ou sont Tesset. SANSON, N. - Partie du Biledulgerid ou sont Tesset. Partie du Biledulgerid ou sont Tesset. - SANSON, N.
Title : Partie du Biledulgerid ou sont Tesset.. Size : 6.7 x 11.0 inches. / 17.0 x 28.0 cm. 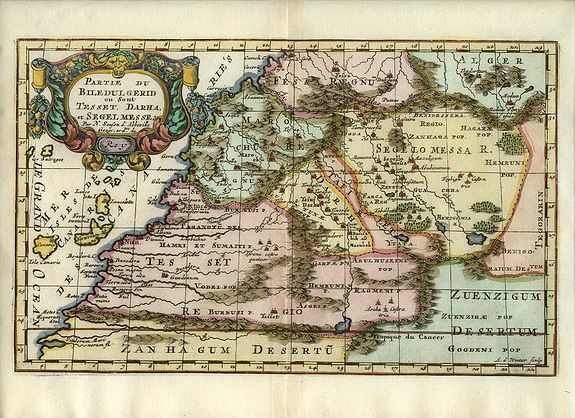 Description :Decorative map of Morocco and the Canary Islands. In upper left hand corner decorative title cartouche. Engraved by A.de Winter.